With Google Maps, you can get all kinds of directions including walking, driving, biking, and public transit. We are going to tell you how to get Google Maps walking directions on iPhone. 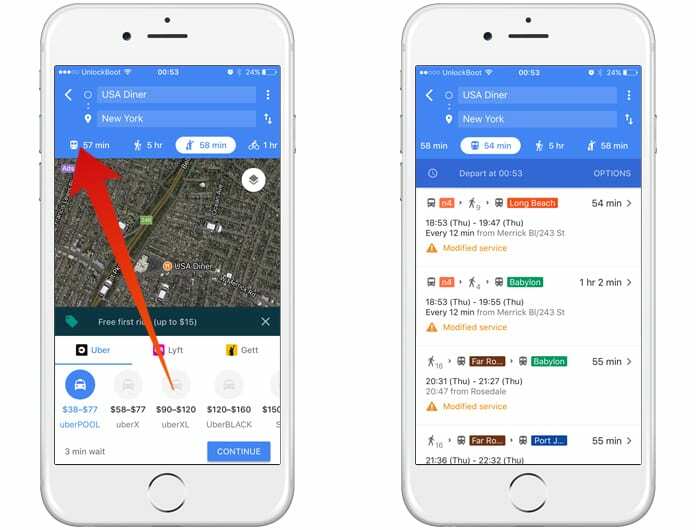 Step 1: Open Google Maps either on your iPhone or the web and set your destination. When you find it on the map, click on Directions (this tab will be located on the upper left side of the browser window on the website). Step 2: Pin your starting point. The Google Maps may have already read your current location if you are signed into Google. You can also assign your home or workplace location on the maps, so you can choose any of those as your starting point. When you are using a mobile device, the starting point will be showing ‘my current location’ as where you currently are. Choose that as a starting point of your journey. Step 3: Next, depending on the mode of transportation you wish to choose, you can get directions for driving, walking, or public transit. 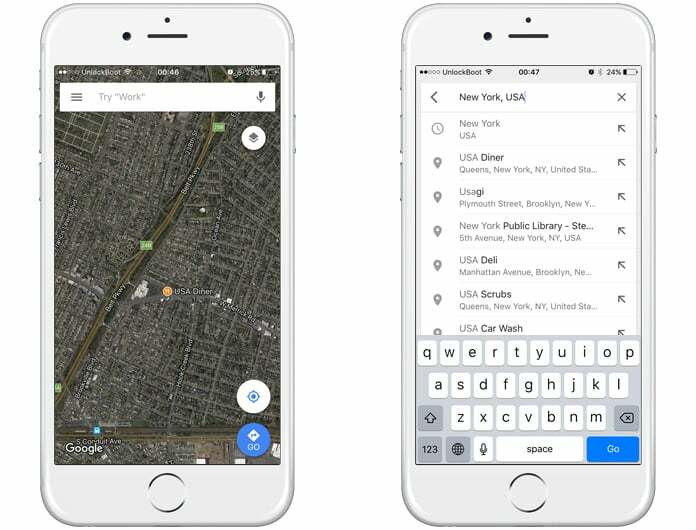 The default settings are normally set to ‘driving’, however, if you frequently use the Google Maps, and travel places via any other transportation mode, your mobile version may show you an alternate default setting. Step 4: Mostly, destinations have multiple alternatives for routes. Google will be providing you directions for the route that is the fastest. However, you can check an estimate for each route to measure their walking time. Step 5: If need be, you can trail along the route to adjust it. There may be a walkway that is blocked along a specific path or a route that you feel is unsafe. You can correct the route and if the same is done by enough individuals, Google might modify the route for future footers. A few things should be kept in mind. These times provided by Google are estimates when the average walking times are aggregated. When a pedestrian walks faster or slower than the average time according to Google estimates, the timing might be off for you. Google may likewise not know about street hazards like busy streets, construction zones, insecure neighborhoods, or streets with inadequate lights, etc. If you live in a city with good walking, the maps will be usually quite good. 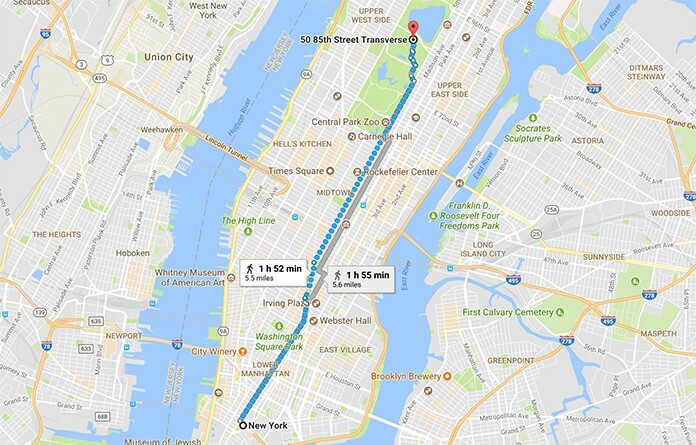 Google even includes some walking for the directions of public transportation. This is called the ‘last mile’ by the experts of public transportation. This last mile sometimes is strictly a last mile, so look out for precisely which segment of the direction for your public transportation includes walking. If you would prefer not to foot it, you can simply order a cab ride directly from the app. 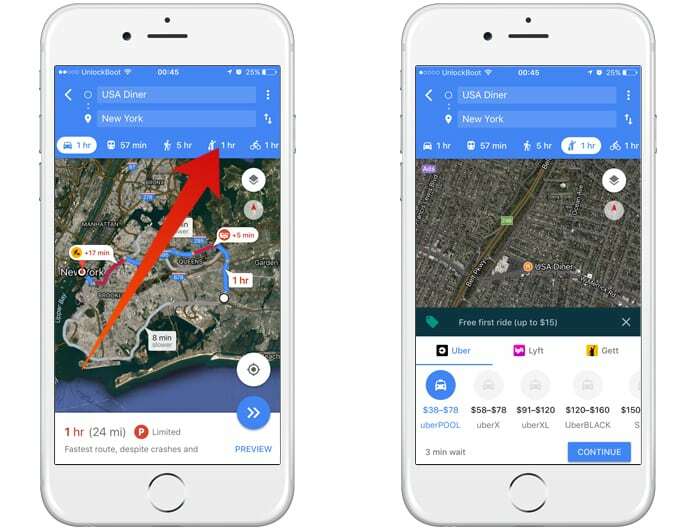 In spite of the fact that Google gives driving and biking directions, there is as of now no method that you can merge the directions for biking, driving, and public transportation with Google Maps in case you are on the look out for solving your ‘last mile’ issue by biking to or from the bus stop. This may be expelled as a non-issue since the walking directions overestimate the time you take to get to or from the stop in case you are using an alternate transportation mode. However, different directions are needed when you are choosing to drive or bike. For example, pedestrians can choose to walk in either direction on a one-way road. Next articleIs The App Store Down? Here’s How You Can Check!